Our golf writer previews the Maybank Championship set to take place at the Saujana Golf and Country Club in Malaysia. The European Tour takes a slight breath this week with the far less vaunted Maybank Championship in Kuala Lumpur. Though not seen as a direct replacement for the Malaysian Open, in reality it has replaced that event as the premier Malaysian golfing event. 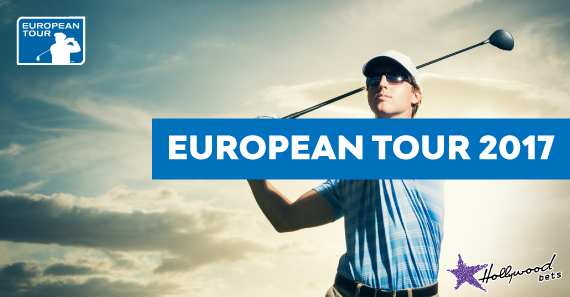 The Malaysian Open had been a co-sanctioned European Tour and Asian Tour event since 1999. The Saujana Golf and Country Club- hosts for this week’s event- hosted the Malaysian Open on numerous occasions and will host its second consecutive renewal of this event. It will be the third installment of the Maybank Championship in total. The Palm Course at the Saujana Golf and Country Club was designed by Ron Fream and opened in 1986. Nicknamed ‘The Cobra’, the Palm Course measures 7,186 yards and was built on old palm oil plantation hills. It thus is rather undulating and has rather generous Bermuda fairways, with small, Tifdwarf Bermuda greens. Craft around the greens will be key, with scrambling emerging as the most important measurement of success in last season’s event: champion Zanotti ranked first for scrambling for the week. Henrik Stenson goes into this week as the clear bookies favourite and will be hoping to break free after some frustrating starts in recent weeks. Fabrizio Zanotti will be aiming to defend what was a miraculous victory last season. He played the final four holes in 3-3-3-3, just edging out David Lipsky to the title. Li Haotong will be aiming to build on that tremendous victory at the Dubai Desert Classic while Alex Levy and Bernd Wiesberger are among the more lofty contenders. A three-time European Tour Champion and former Ryder Cupper, Sullivan will be looking towards recapturing his best from in yet another Ryder Cup year. Sullivan finished sixth last week, with a disastrous sixth at the final hole really diminishing what could have been a fantastic week. Two of his victories came at this time of the year in 2015- both of which in South Africa. He finished 13th here in the 2014 edition of the Malaysian Open, but more importantly sat second with one round to go. He recent burst of form and a limited field makes him appealing at 35/1. The powerful Aussie is a prolific winner on the Asian Tour and has that mercurial journeyman quality that can produce surprise results. His two best results on the European have both on corollary courses, with a victory in the 2014 Hong Kong Open and two runner-up finishes in at the European Masters: the Crans Sur Serra Course has many similarities to Saujana. He finished 22nd in Abu Dhabi in what was a far more illustrious field than this. Looking at the fringes of the betting spectrums, there were actually a few promising Thai golfers that one could opt for. Poom Saksasin looks the best for me. He has finished 10th and 12th in the last two weeks on the Asian Tour. He also finished last season with results of 16th and 24th at the Hong Kong Open and WGC HSBC respectively. Perhaps more tantalizingly, he just beat Paul Casey in singles at the recent EurAsia Cup. So he has recent from and shown a propensity for taking down a big gun. The Austrian has perhaps been somewhat overshadowed by Alex Noren in the ‘ruthless consistency’ category over the last few years. Wiesberger almost won the Malaysian Open in 2015, leading at the halfway point. He has had a habit of just missing out in recent years, with that last-gasp defeat to Tommy Fleetwood in China last year exemplifying the point. But just look at his form in East Asia. He won his first European Tour title in Korea before victories in Indonesia and China. All in all, he has three victories and four near-misses in East-Asia, with recent form figures in Malaysia that read 2-2-3.